WEAR COMFORTABLE CLOTHES - Shorts and Sandals O.K. 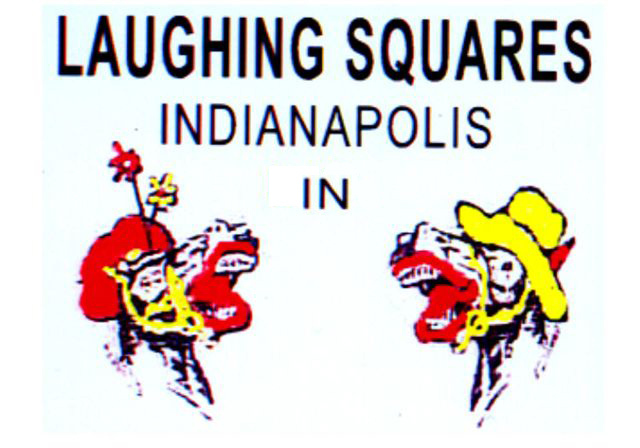 The Laughing Squares square dance club offers FREE lessons to new dancers beginning on September 3 and ending in December. This is a family activity - children under 18 years of age who take lessons with parent(s) are welcome. Call Krannert Community Center at (317) 327-7375 to register. The last day to start 2019 lessons will be the third lesson, September 17. Our club caller, Zelmer Daugherty, is the instructor, and many club members come to assist and fill out the squares. Lessons are Tuesday nights from 6:45 P.M. to 8:45 P.M. at the Krannert Community Center beginning September 3, 2019. Some Tuesdays are skipped because of holidays. New dancers will learn Mainstream square dancing. Lessons end with a graduation ceremony when each participant who has attended regularly receives a graduation certificate and an invitation to join our club. The Mayo Clinic Health Letter states, "Square dancing is a great way to lower blood pressure and cholesterol levels, burn calories (200-400 per half hour), and strengthen bones. Just as important, square dancing helps develop strong social ties which are critical to your mental health." Come join us! See what the fun is all about. Online Video Dance Lessons: These videos show you how to dance each call from Mainstream and Plus. They walk through each call with instructions, and then they dance it. You will need a high speed Internet connection and flash player plugin. © 2012 by Laughing Squares of Indianapolis, Inc.